MIG (Metal Inert Gas) welding wire can be aluminium welding wire, stainless steel welding wire or other alloy wire especially for MIG welding processes. 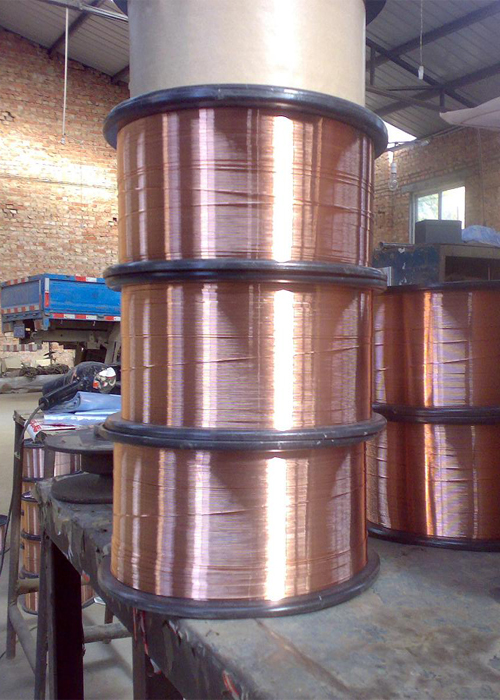 KA Wires Wire Division manufactures steel wire with thin and uniform coating for continuous welding on unalloyed and structural steels. KA Wires welding wires are fully guaranteed to give you continuous, clean, uniform, strong and spatter less welding in any Indian or Imported make MIG/MAG/TIG and SAW welding machines.